Start a Homeless Pet Community Club! 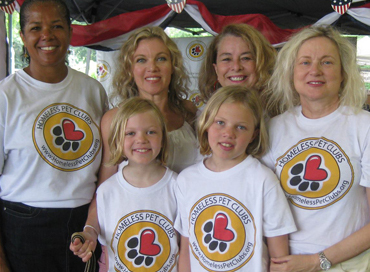 Community organizations can reach a wide audience to help save an animal's life! Starting a Homeless Pet Community Club is easy and it is FREE. Simply fill out the registration form below and you are on your way to helping homeless animals in your community. Types of community clubs include but are not limited to: Faith Based Institutions, Families, Neighborhoods, Senior Centers/Senior Daycares, Assisted Living Centers, Sports Teams, Sororities/Fraternities, Human Hospitals, Police Departments, and Fire Departments.